The lively flower colors of the Hibiscus bring to mind the enchantment of tropical flora. Hibiscus also exist as shrubs that have adapted to our latitudes and stud our summer days with multicolored dream-like flowers. 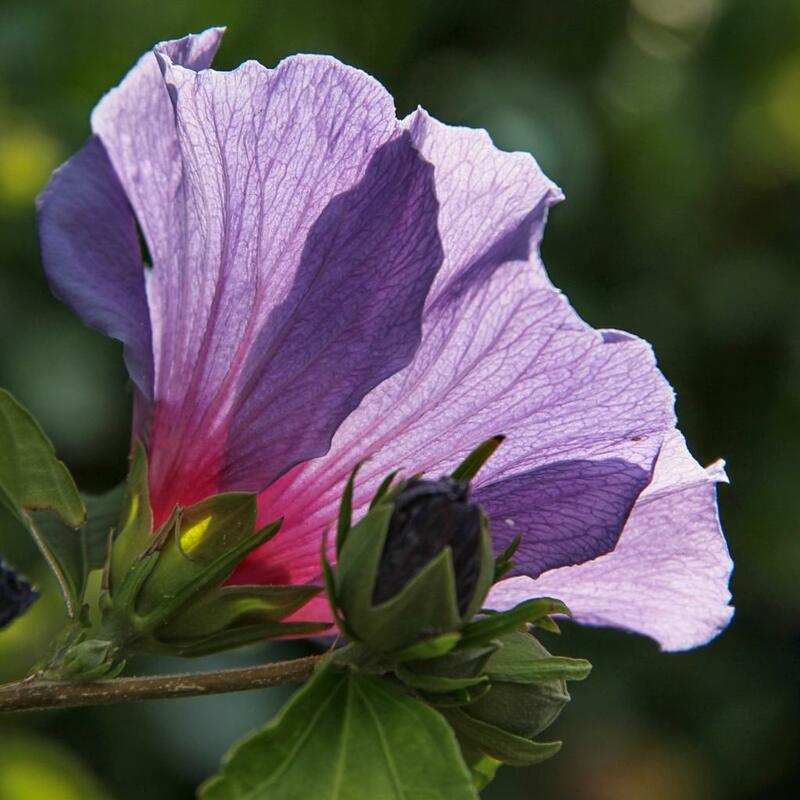 Native to India and China, the Hibiscus syriacus plant was introduced to the West in 1596 and is known by many different denominations: althea, rose mallow, Rose of Sharon, Syrian ketmia, etc. It is a shrub that is easygoing and adapts well to diverse environments. Place it in full sun, in fertile and well drained soil. Add fertilizer in the spring and water well over the summer. Take care that the plant stays protected from late spring frost spells or cold winds, that can cause forming flower buds to wither and drop. The spectacular blooming constantly renews itself from July to October. 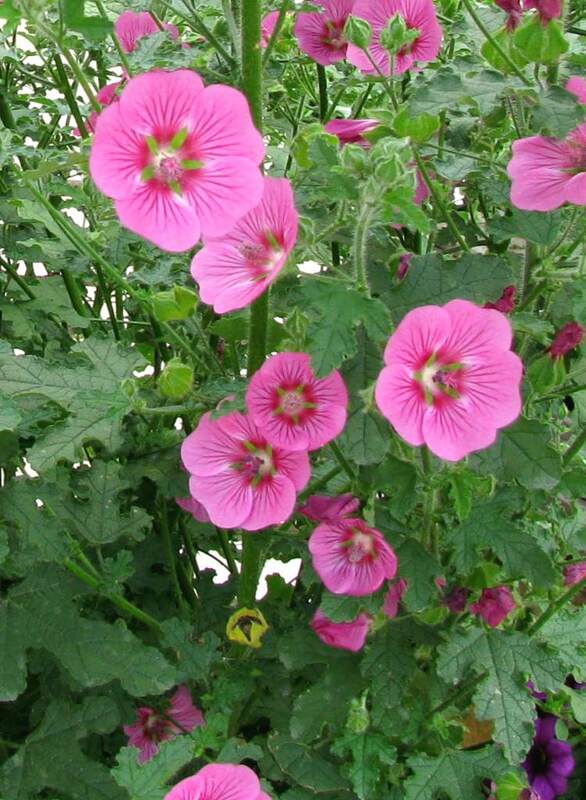 Flowers are superb and short-lived corollas that are 2 to 3 inches (6 to 8 cm) across. They appear one after another, either alone or in pairs. 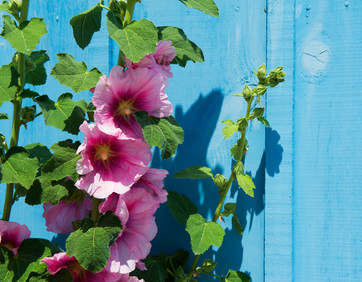 Be they blue, pink, white or red, single or double, they sometimes have a richer hue in their center, which enhances the decorative value of the hibiscus. 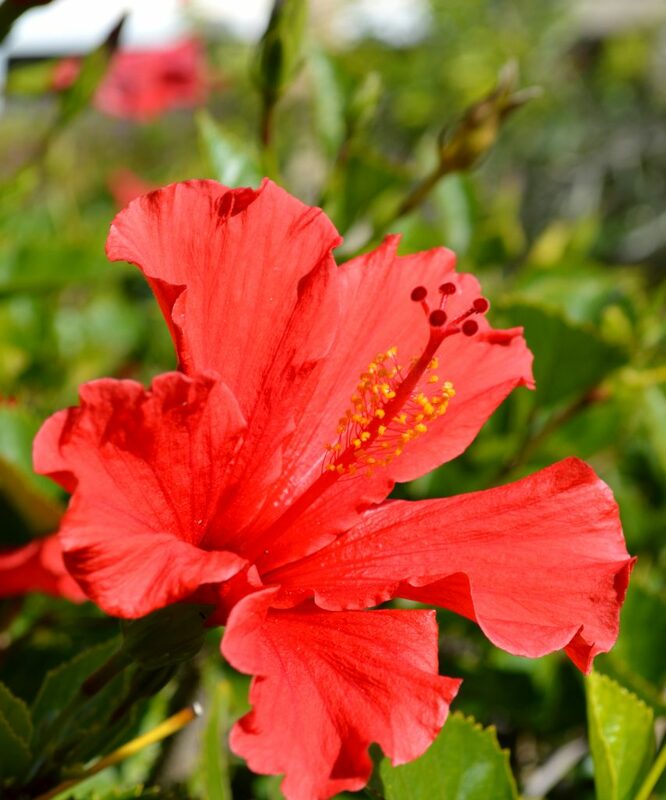 Pruned in free shapes, your hibiscus can become beautiful shrubs that are very dense with upright stems. They may reach up to 6 to 10 feet (2 to 3 meters) high and 5 feet (1.5 meters) across. Together with other shrubs or perennials, hibiscus will bring a touch of joy to your flower beds (planting distance: about 5 feet (1.5 meters) apart). It is also possible to plant hibiscus in perennial flower beds, to give the scenery a little depth. One or more hibiscus planted as part of mixed hedges produce a marvelous impression. In smaller gardens, they are also fine as stand-alones decorating a lawn. If you are patient, it is possible to prune your hibiscus to give it the shape of a small tree. Prune year after year to form a short trunk while maintaining the volume of the crest. This will lead you to having a cute flower-bearing miniature tree. Thanks to its density and its resilience after severe pruning, hibiscus is very well adapted to being grown on balconies. Indulge the unique elegance of a stem hibiscus. You may purchase it already shaped. Repot it to a container that is 12 to 16 inches (30 to 40 cm) deep. A square garden box is perfect. Your flower-bearing miniature tree will surely be noticed!